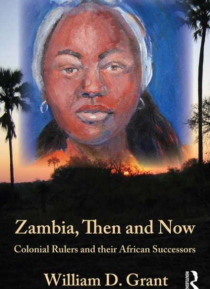 Written by a member of the last generation of British Colonial Service Officers in Africa, the book seeks to place both colonial rulers and their African successors in the context of history and the circumstances of their time, viewing their achievements and failures critically but not unsympathetically and comparing colonial society with that of the independent African country that Northern Rhode… sia has become. Colonialism is viewed at the day to day level of the administration of a rural district by four officers and a handful of African district messengers, who worked together without even a telephone to assist them. With a wealth of detail that can only come from experience, Grant's work makes an important contribution to the understanding of a time, place, period and practices that are only now being considered in a balanced way.